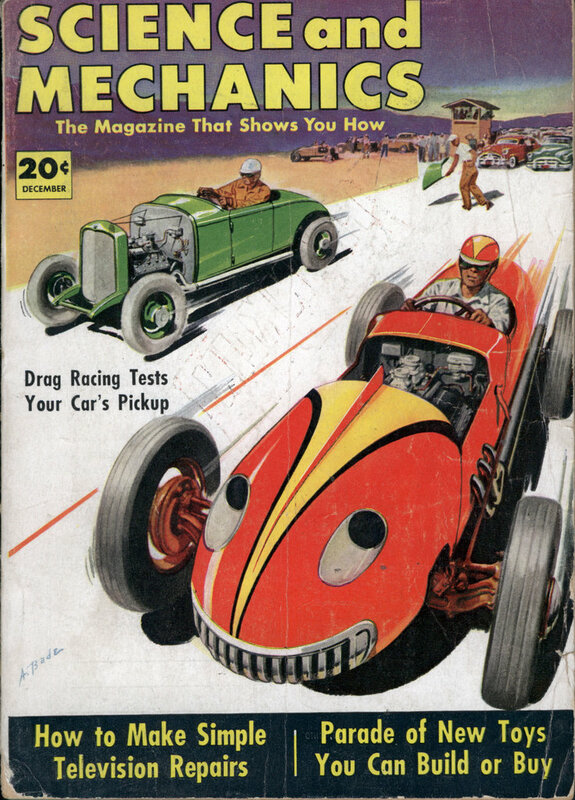 He wound up having quite the career before he passed away in 1966. SHEET aluminum rubbed with steel wool is used by Nikos Bel-Jon of San Francisco to create unusual murals. 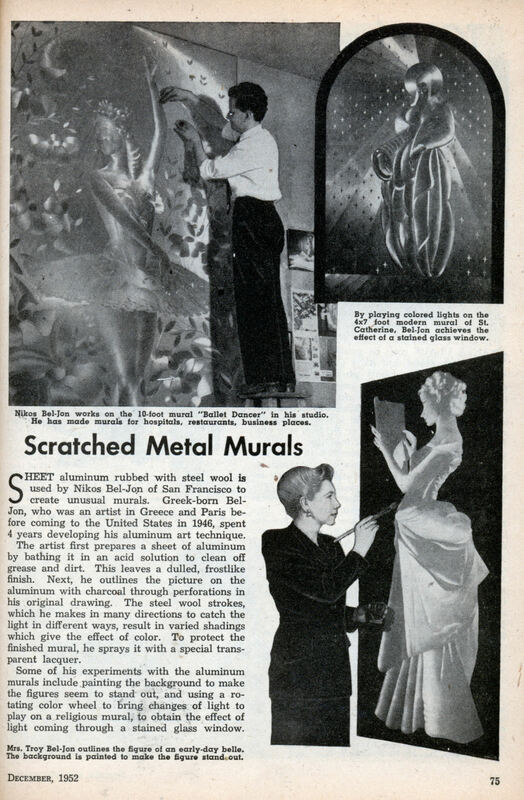 Greek-born Bel-Jon, who was an artist in Greece and Paris before coming to the United States in 1946, spent 4 years developing his aluminum art technique. The artist first prepares a sheet of aluminum by bathing it in an acid solution to clean off grease and dirt. This leaves a dulled, frostlike finish. Next, he outlines the picture on the aluminum with charcoal through perforations in his original drawing. The steel wool strokes, which he makes in many directions to catch the light in different ways, result in varied shadings which give the effect of color. To protect the finished mural, he sprays it with a special transparent lacquer. Some of his experiments with the aluminum murals include painting the background to make the figures seem to stand out, and using a rotating color wheel to bring changes of light to play on a religious mural, to obtain the effect of light coming through a stained glass window.